I am finalising my new plugin that will allow creation of Ical events within wordpress. The Ical spec provides for a location and geotags for an event. The existing event list plugin shows a google map link for the event if these components exist. 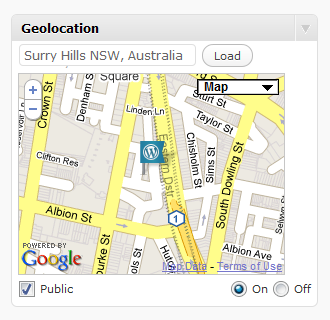 So the new plugin will allow entry of a location and/or integrate with other location plugins. There are some sweet geo or location plugins available, so I thought I would keep my location meta box input simple and allow integration with some of these other plugins if anyone required more sophistication. I have tested the new plugins see if they play nicely with custom post types (although my plugin will also work with normal posts too), and use the wordpress databse appropriately. Custom Post Type support is actually quite easy to add, so please check the latest versions. Ben Huson is currently working on optional custom post type support. Optional control over where location data shows if at all in post view. It appears to automatically support custom post types(ie the metabox appears on all post types). Ideally this should be optional as per Ben Huson’s version above (dev version for now). Has a fairly unique feature of allowing one to save and reuse locations. Does some cacheing. 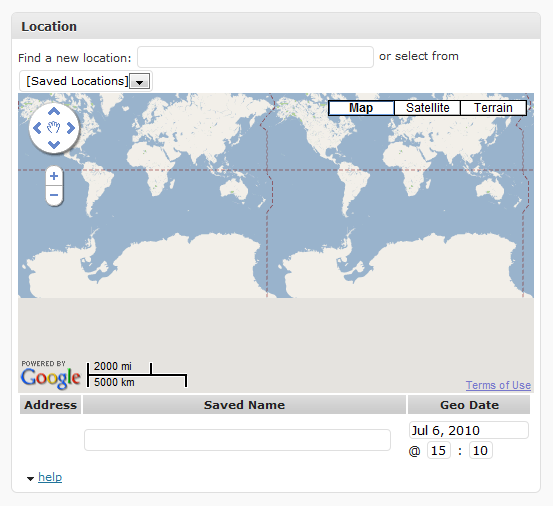 Also stores it geo-data nicely in the user meta table, so will integrate with this too. 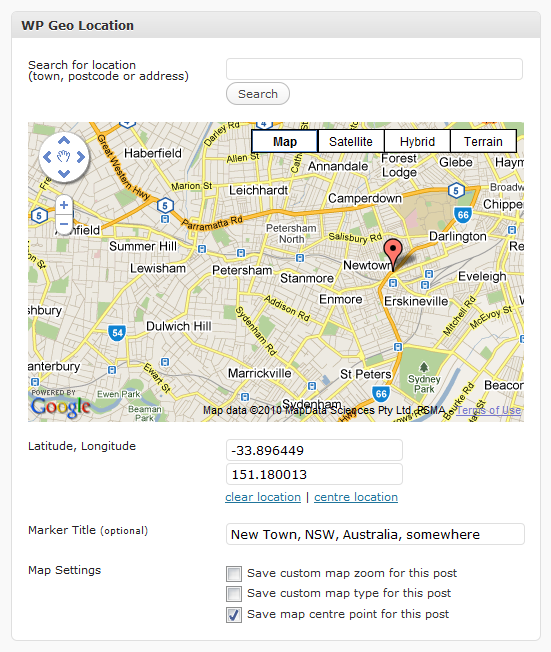 Map shows on hover on the address in the post. There is some option as to where/how this location link appears. Does not support custom post types yet. works with the wordpress iphone app. If anyone would like to suggest other post location plugins for consideration in offering integration, please comment below. Since there are a number of these similar plugins, the location plugin that will come with the ical events plugin will be much simpler. It will probably not have the map displayed every time you edit the post, or display the post. It will have a link to verify that the address is adequate to bring up the correct map view and/or get the latitude and longitude.